Enjoy an unforgettable underwater journey on the Red Sea. The submarine will descent to a depth of approximately 22 meters, where various kinds of coral have formed beautiful reefs and multicoloured fish have claimed them for their habitat. Egypt Travel Representative will pick you up from Safaga Port by the cruise exit door. 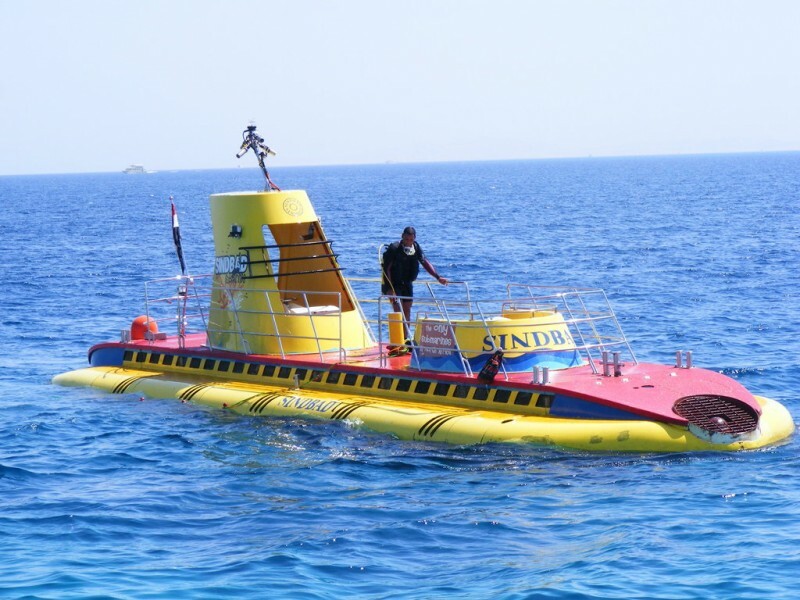 After that you will be transferred by a modern air-conditioned vehicle to Hurghada to enjoy an unforgettable underwater journey on the Red Sea. The submarine will descent to a depth of approximately 22 meters, where various kinds of coral have formed beautiful reefs and multicoloured fish have claimed them for their habitat. Free time at Hurghada, then you will be escorted by your guide back to the cruise at port of Safaga.